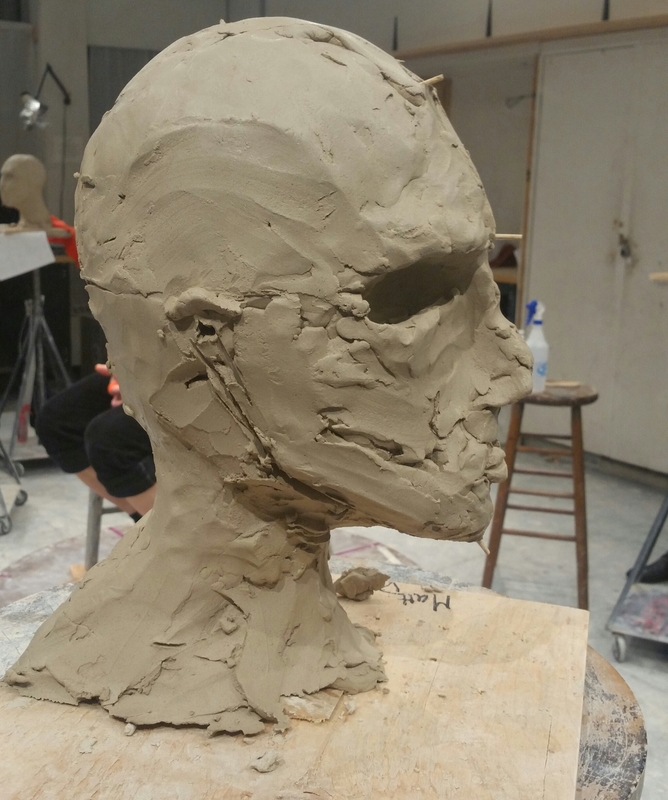 Welcome back to another short article about sculpting. 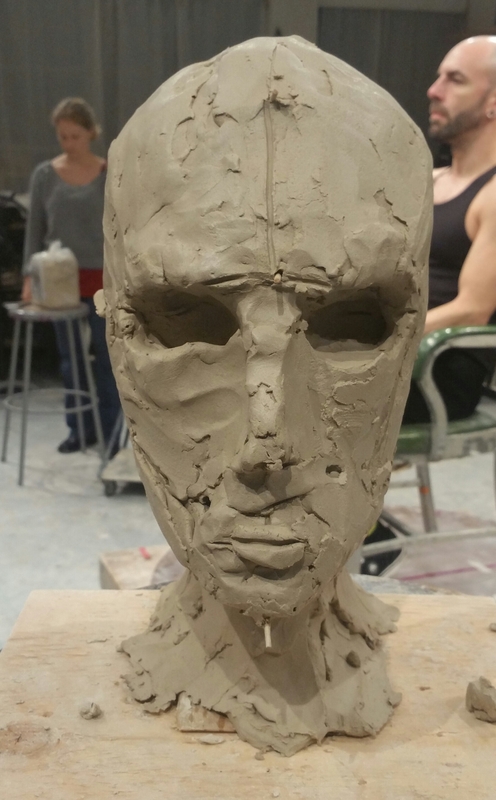 Here I share my trials and tribulations as I learn the art of sculpting. Last time on learning to sculpt I shared my experiences with gestural sculpting. 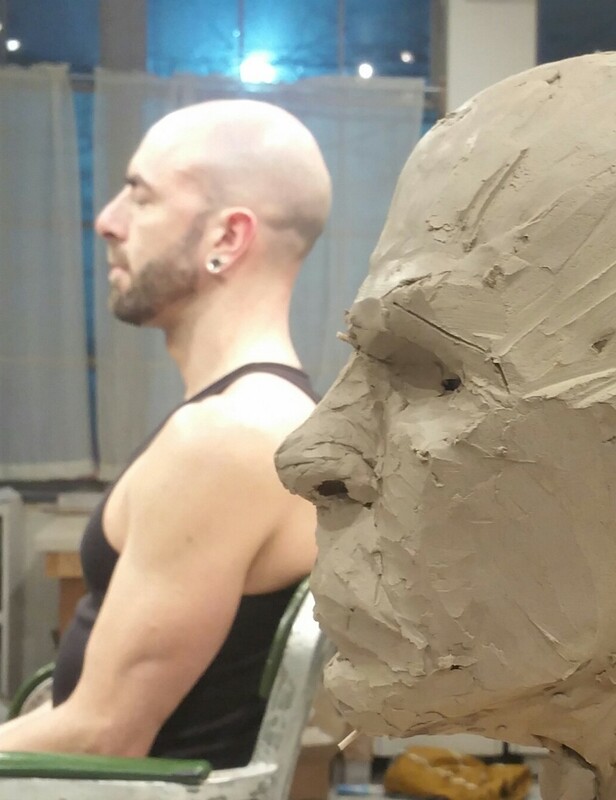 This week I will be writing about the second half of my winter sculpting classes: Portrait Sculpting. The teacher for this class was Mardie Rees. Her portraits are beautifully expressive and she was a helpful and patient teacher. 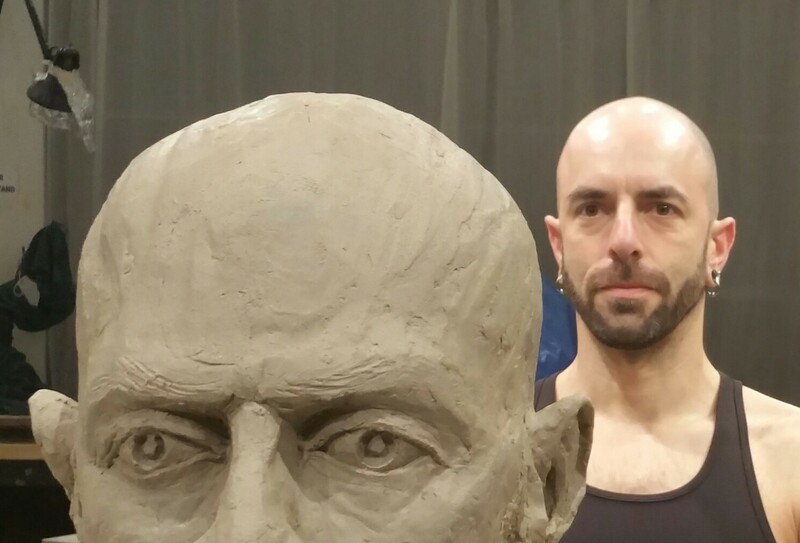 During the class we sculpted full-sized portraits from a live model over the course of 15 hours. 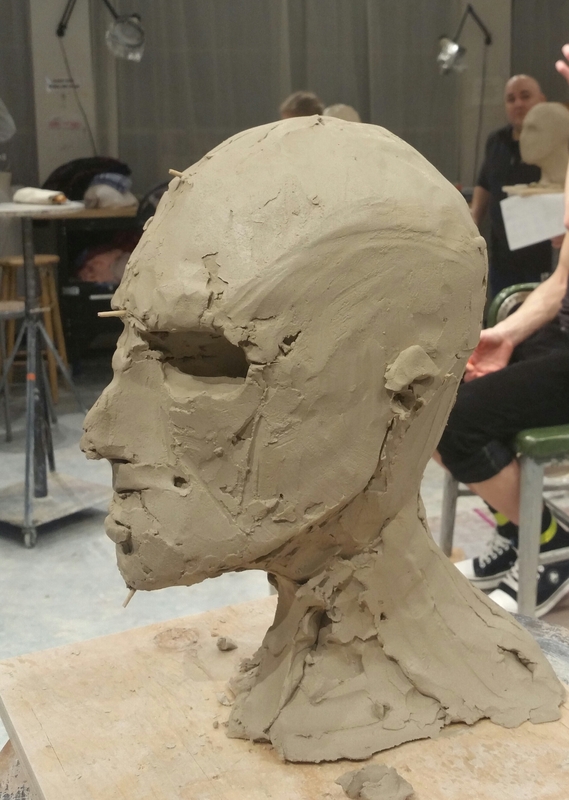 By the end of the class I had sculpted my first facial features and learned how the parts of the face are put together. 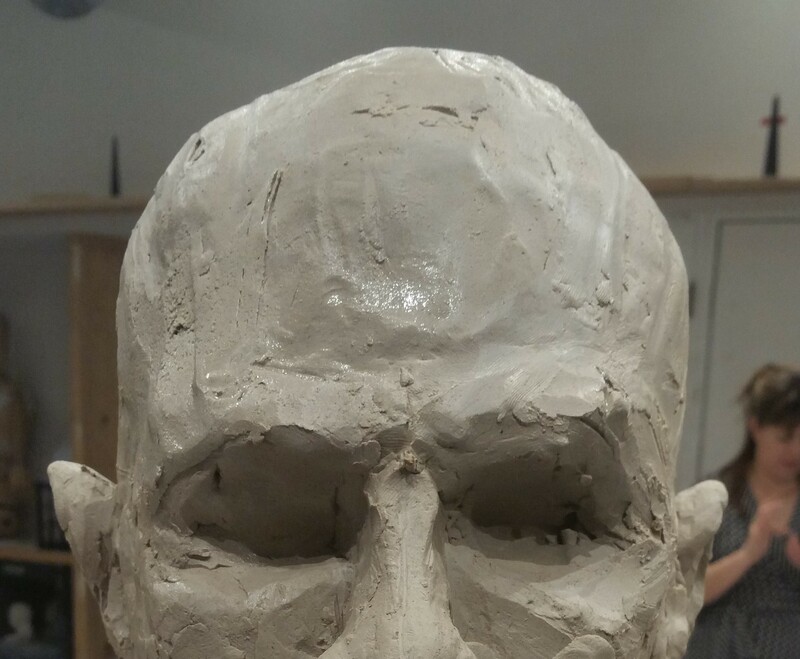 The first few hours were spent taking measurements and then adding large amounts of clay to build up the shape of the skull. 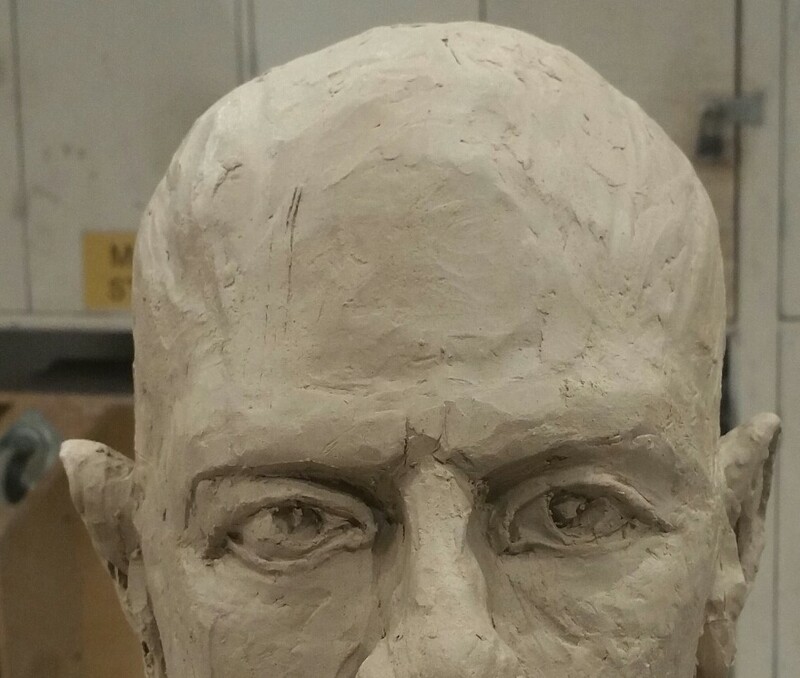 At this stage my goal is to recreate the profiles and geometric shapes of the skull. The results after the first class aren’t very impressive but I did manage to place the major points like the brow, chin, jawline, and temporal crest before time was up. The second session was also spent on the fine tuning of these features and geometries. I was very cautious at this stage. My thinking was that I needed to get these features placed, shaped, and sized correctly now. 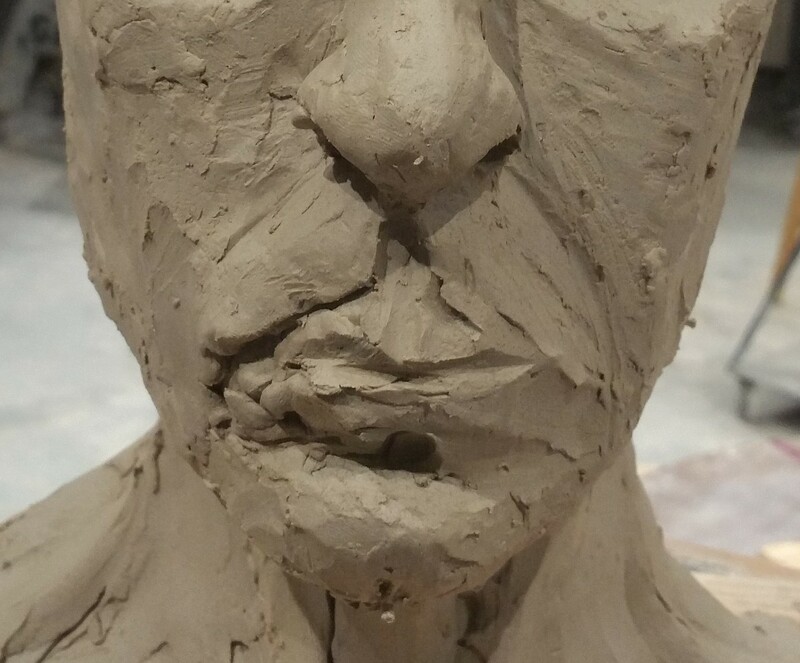 I knew it would be very difficult to change them once I started sculpting the facial features. During the third class session we learned about the ears and the nose. 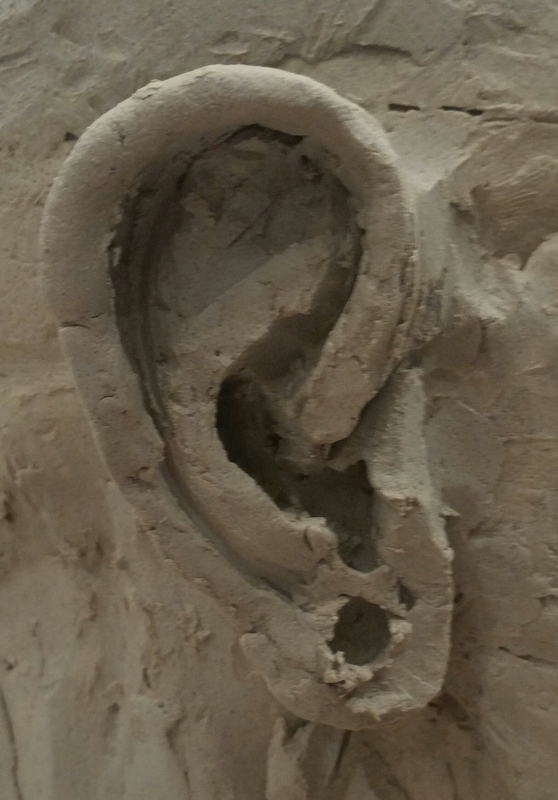 At first I thought that ears would be really difficult to sculpt but it turned out that I was pretty happy with my first ears. One piece of advice I found essential: the details of the ears are not as important as their size and placement. 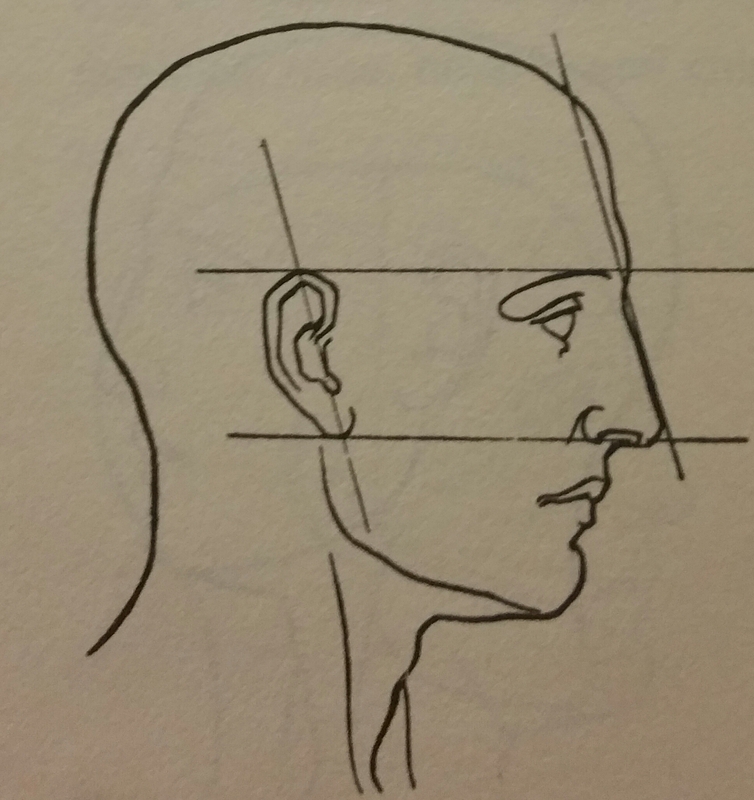 The top of the ear usually lines up with the brow line and the bottom with the level of the tip of the nose. 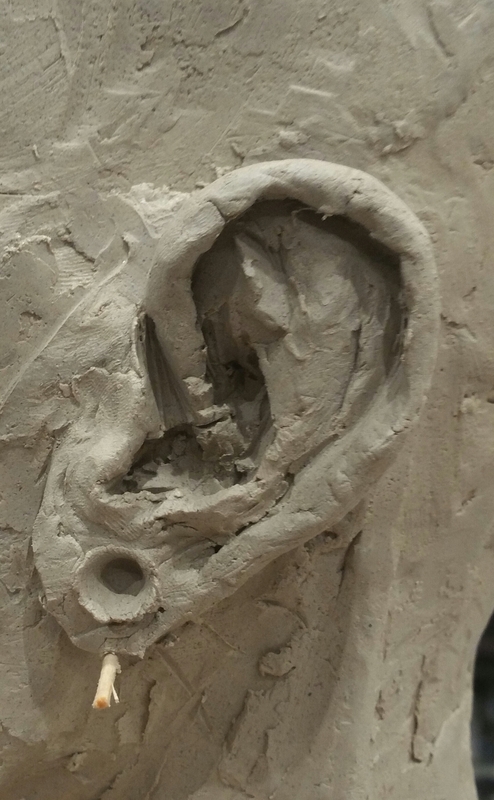 The jaw line always terminates at the ear hole so the placement of the ear effects the size and shape of the entire face. 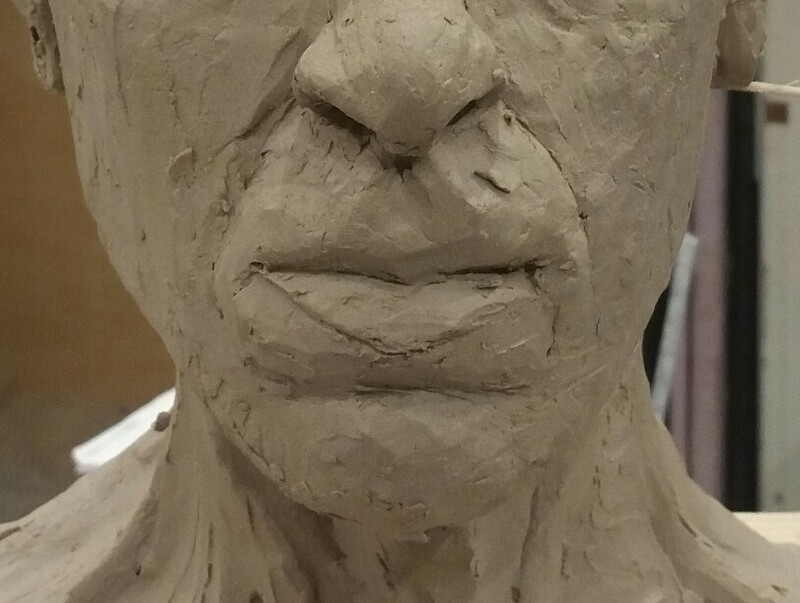 I made a mistake early on while sculpting the nose. In the picture you can see that my nose is too short and does not project far enough. 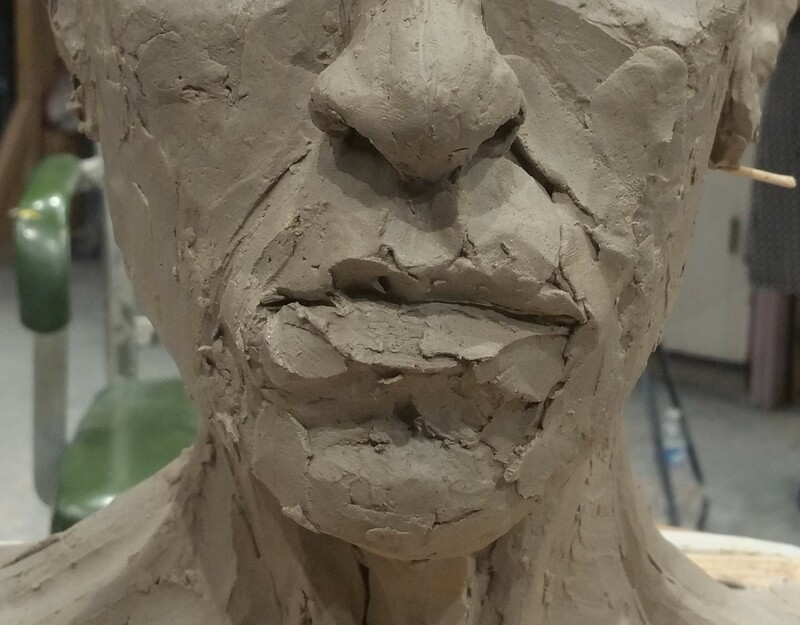 This is a mistake that I would not realize until later when I was sculpting the lips and mouth. The mouth and chin were certainly too large and it took me awhile to realize the cause. Sculpting is like this though, so I learned this lesson: if something looks wrong it may be caused by another part being sculpted too large or too small. I’m not sure what to say about lips except that they are difficult! 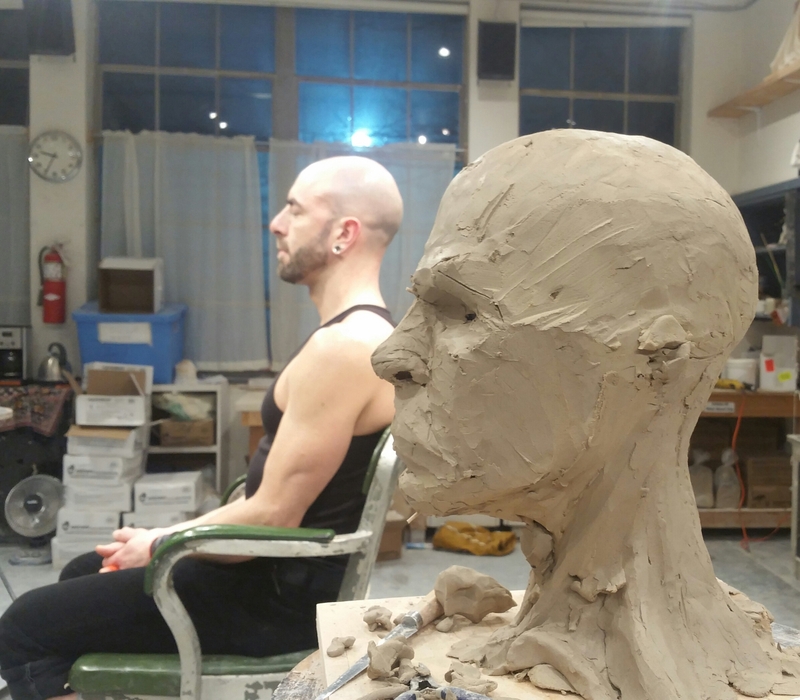 I found it helpful to sculpt the underlying muscles first and then move to the surface. I know there is so much to learn about the lips when expressions come into play. For me, they were challenging enough in a neutral expression. The eyes are the most difficult facial feature in my opinion. So much of the personality comes from the eyes. This would be my first attempt so I tried to put personality out of my mind and be happy to just sculpt the basic structure right. After my first attempt I used part of the final class to resculpt the eyes because I was unhappy with them. Here you can see my first and second attempts. Looking back on these eyes I can see some areas that I like, and I can see some errors I made. I like the upper eye lids and the shape of the brow. The lower eye lid is too rounded giving the eye an unnatural almond shape. I also made an error on the macro scale because my eyes are too close together. 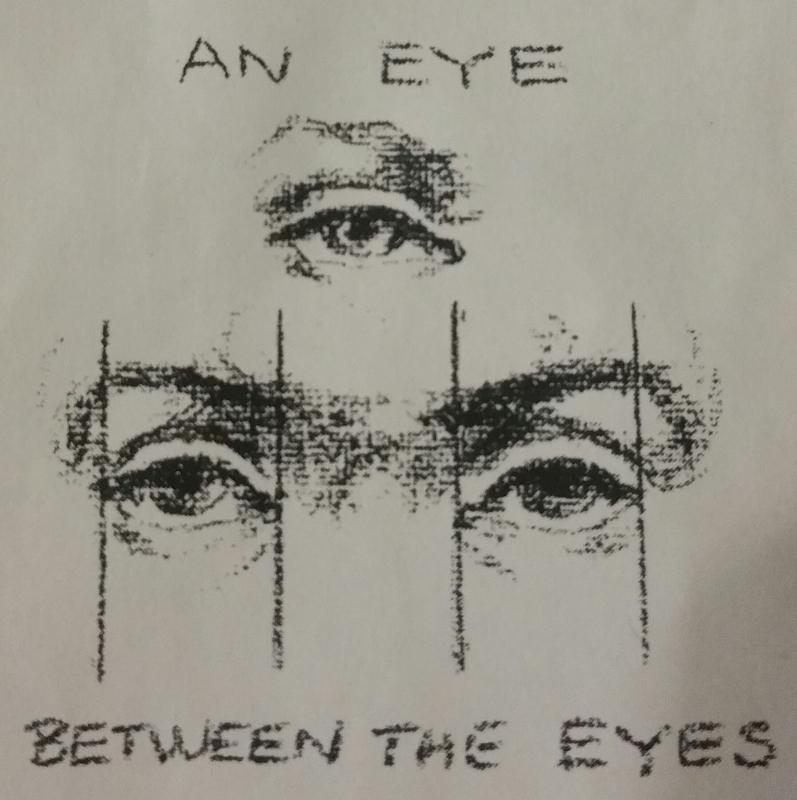 This error is so common there is even a rule that a third eye should fit between the eyes! I hope you’ve enjoyed following along on the bumpy road to success. 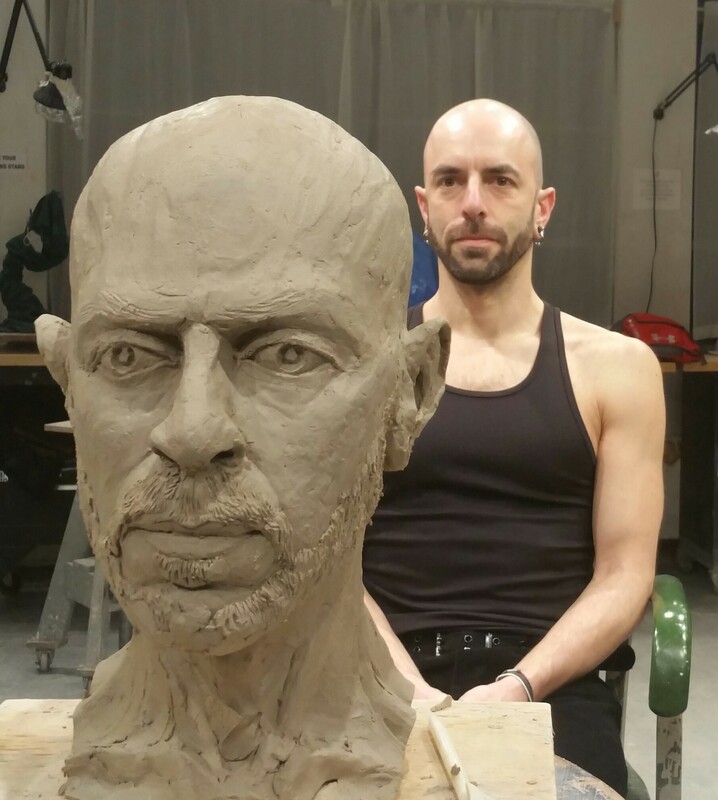 I will be returning to school in the spring to sculpt a single full figure over a longer time period. So, more sculpting articles are surely on the way!